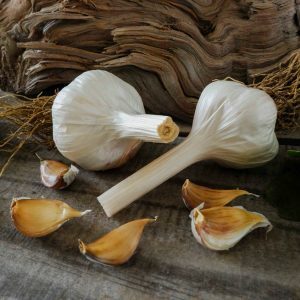 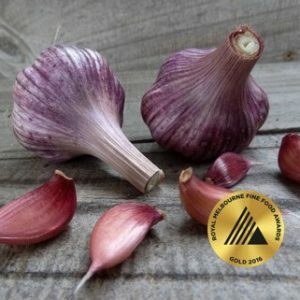 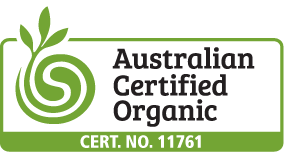 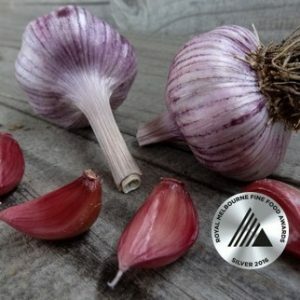 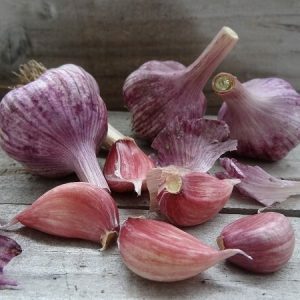 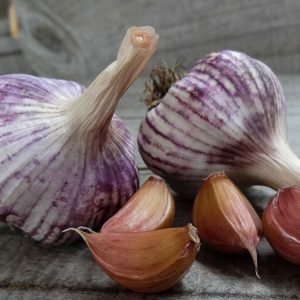 Unique cold climate garlic that produces only 4 to 5 huge cloves with strong garlic flavours. 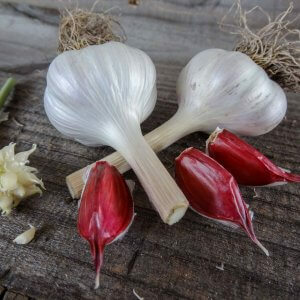 Porcelains are more tolerant of wet soils and growing at altitude and can produce massive large bulbs with good 7-8 months of storage. 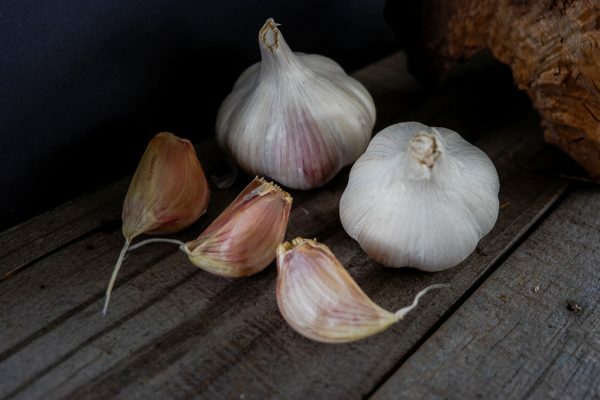 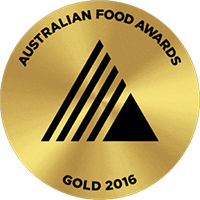 For those that love large cloves and strong garlic flavours – this one is definitely for you.